The 4th of July is just around the corner and this year we can celebrate both the history and the future of America by incorporating some eco-conscious practices into our activities. Have you recently been to a party or BBQ, or even hosted one, where you see trash bags filled with disposable items? It can make you feel a little hypocritical sending all that stuff to the landfill when the rest of the year you try to protect the planet. This Independence Day there are a few steps you can take to green your party. A patriotic place to start is with selecting flags. The Flag Store USA only sells flags made by Annin Flagmakers. They began making U.S. flags for the merchant ships in his sail-making shop on the New York City waterfront in the 1820’s and have been making flags using domestic materials and labor ever since. The Bulldog Flags are a good choice and are made from 100% cotton so you won’t have to throw away cheep plastic flags that fade in the sun. The best place to display one of those great flags is at your backyard barbecue. But the trash really piles up when it comes to party plates, cups and cutlery, which makes these gatherings a great place to show a hip green side with some very cool looking new items on the market. Plastic cutlery isn’t much fun at a BBQ. When your knife breaks on a piece of chicken it’s miserable for you and the hosts are pretty sure they’ve over cooked the food. Eco-Gecko makes biodegradable wooden cutlery from FSC Certified birch trees that are compostable, just like your yard waste. The completely organic material is free of any coatings, waxes or chemicals of any sort. 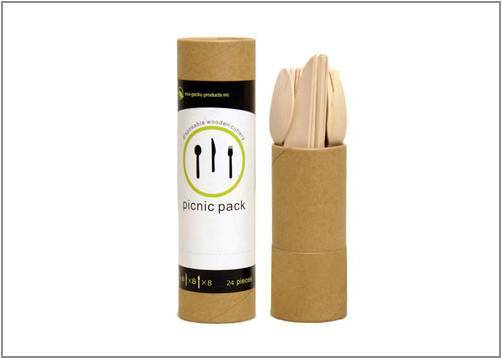 You can get Eco-Gecko’s picnic packs with 8 sets of forks, knives and spoons for $3.95 or boxes of 100 individual pieces (enough to last the whole summer) for under $8.00 each at BuyGreen.com. But you need more than just cutlery at a barbecue. Earthen Trading makes biodegradable plates, bowls and platters from fallen palm leaves. The fallen leaves are gathered, rinsed and formed into shape using only water and sterilizing high heat. They won’t leak, are freezer safe, and microwaveable safe for up to three minutes because they don’t use any chemicals, polish, bleach, or Genetically Modified Organisms (GMOs) in these compostable plates. I got them at NoPlastic.com for about 50 cents each. 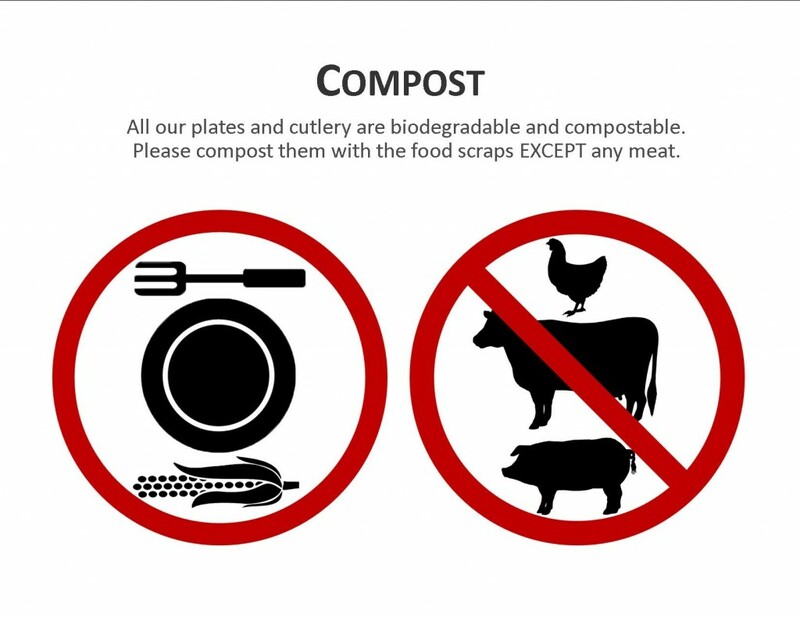 Biodegradable is a great option for any barbecue, but you can also consider reusable options as well. A few years ago I bought cafeteria-style plastic trays for a BBQ at the beach. They always get a huge laugh at a party as we reminisce about grade school, but they’re sturdy, don’t leak and are dishwasher safe. Green Toys is an award winning California company that makes toys and plates out of recycled milk jugs. Every step of the process, from recycling to production to final assembly, occurs in California. No materials are shipped from overseas. The packing for these plates and trays is minimal and uses recycled corrugated boxes with no plastics, cellophane or twist-ties, and is 100% recyclable. No melamine, BPA, phthalates, PVC, or external coatings are used in these dishwasher safe plates that run from about $6.50 to $12 a plate. Now, for the beverages. If you’re canning fruit, jams or veggies later this summer break out the mason jars now as a fun way to serve drinks. Of course you’ll be serving some Kendall-Jackson wines and if you’re worried about breakage you can pick up dishwasher safe acrylic wine glasses from Crate and Barrel or your local grocery store. Instead of soda or other beverages sold in plastic bottles, make refreshing iced tea or lemonade. Stay away from the store bought cakes and pies that are loaded with saturated fats, palm oils and partially hydrogenated vegetable oil icings. Cut up some fruit or make a simple and healthy strawberry-rhubarb crunch with ice cream. Hot dogs- why not go for the nitrate free all beef? They’re much better tasting anyway. Provide healthier snacks like guacamole instead of dunking chips in processed cheese dips. Grill up some vegetarian choices that appeal to meat lovers like Portobello mushrooms, zucchini and corn on the cob. Sustainable fish? The Monterey Bay Aquarium has a pocket guide you can download and bring to the store for seafood that’s good for you and the planet. Carpool with your neighbors or walk or ride your bike to a local firework show. 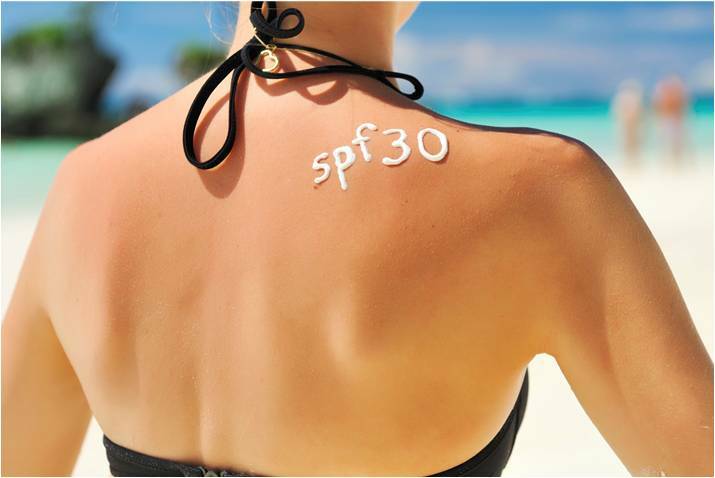 Lastly, buy a couple of extra tubes of natural sunscreen. What your guests don’t use at the party you’ll use later this summer. We hope you enjoy these tips on having a red, white, blue and green 4th of July. Have a great holiday and share with us any tips you find along the way!